Each March in Melbourne our top amateurs eye off one of the most prized amateur tournaments on the golfing calendar, the Riversdale Cup, our second oldest amateur championship having first being played in 1896. Former champions include include Robert Allenby (1990-91), Brendan Jones (1998), Aaron Baddeley (1999), Michael Sim (2004), Scott Arnold (2008), Jordan Sherratt (2009), British Amateur champion Jin Jeong (2010), Nathan Holman (2011), Jake Higginbottom (2012) and Brady Watt (2013). Last year Ryan Ruffels held his nerve to secure his first top amateur title with a one stroke victory over Todd Sinnott. Ruffels has returned to defend his title with Sinnott having moved to the paid ranks. This year’s field includes Taylor MacDonald, Cameron Davis the reigning Australian Amateur champion, multiple national event winner Jarryd Felton, Lucas Herbert, Cory Crawford, Zach Murray and Travis Smyth to name a few. Ruffels is the only Australian inside the world top-10 and as the current Riversdale title he’ll be the player to follow this week. With a top-3 finish recently at the Victorian Open on the Australasian PGA Tour, Ruffels will be aiming to claim his first major amateur win for 2015 with his best result so far making the round of 16 at the Australian Amateur after finishing the second best qualifier following the stroke event. Only three other Australians are inside the desired world’s top-50, Herbert (28th), MacDonald (36th) and Davis (49th), reflective of the need for greater depth to be generated within our men’s ranks. In comparison the USA has 21 players, whilst the UK has 10. Herbert played well towards the end of 2014 in the professional tournaments and continues to be a threat in amateur events. With a T13 best result in 2015 at the Lake Macquarie Amateur, you can expect Herbert will be hunting for a main Australian amateur title after a number of runner-up finishes in 2013-14. MacDonald is coming off a win at the 2014 Federal Amateur and a top-15 at the Australian Master of the Amateurs. An experienced proponent in these ranks, MacDonald’s style and approach always makes him a danger player. 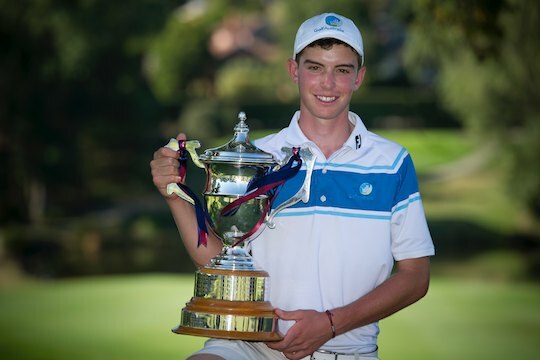 Cameron Davis had a great start to 2015 winning the Australian Amateur and two top-10 finishes at the Australian Master of the Amateurs and at the Lake Macquarie Amateur. He should also feature this week. Keep an eye on Jarryd Felton who was recently named in the National Squad following a string of impressive results including winning the 2014 Dunes Medal and Mandurah Open. Felton is constantly knocking at the door in these events and should certainly challenge come Sunday afternoon. The Riversdale Cup often produces classic finishes with the driveable 282 metre par 4 18th the sudden death playoff hole. It’s an event rich in history run by a committed membership base that produces one of our best and most hotly contested amateur tournaments in the season.